No Power? No Problem! When you need an electrician it can be hard to find one. That’s because most electrical contractors do not take their after hours service seriously. 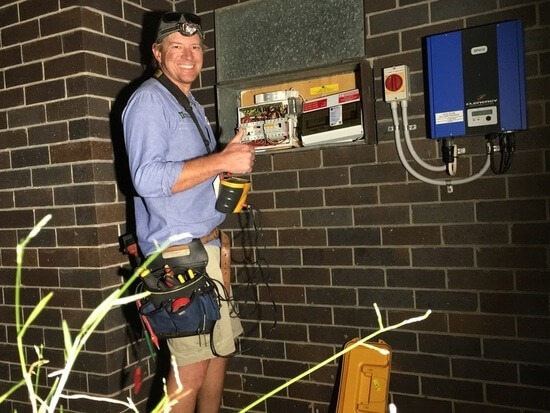 At Just-In Time electrical we have been offering an after hours service for 9years and have responded to calls ranging from tripped breakers at a house in Indooroopilly to a switchboard replacement in Hamilton in the middle of the night. So where to start when you have no power? Firstly check your switchboard to see if any circuits have tripped off.- if there is a circuit or safety switch tripped off try to reset it. If it trips off straight away you may have a problem. If the issue is on a power circuit go through the house and turn off and disconnect all appliances affected. Once this is done return to the switchboard and again try and reset it, if it persists you may need to contact your local electrician. If it does reset then go and plug in one appliance at a time. If the circuit breaker/safety switch trips off when you plug in a certain appliance it may be faulty so leave it disconnected until it is checked. If at any time you are unsure or don’t feel competant jump on the phone to a Brisbane electrician that can help you out. If all your circuit breakers and safety switches are on but you have no power at all – check the Energex website to see if there are any power outages in your area. At Just-In Time Electrical we have specifically trained our technicians in testing and fault finding ensuring that we are the best fault finding electrician in Brisbane. You know when you have our team on the job you will get your power on efficentlyand safely.